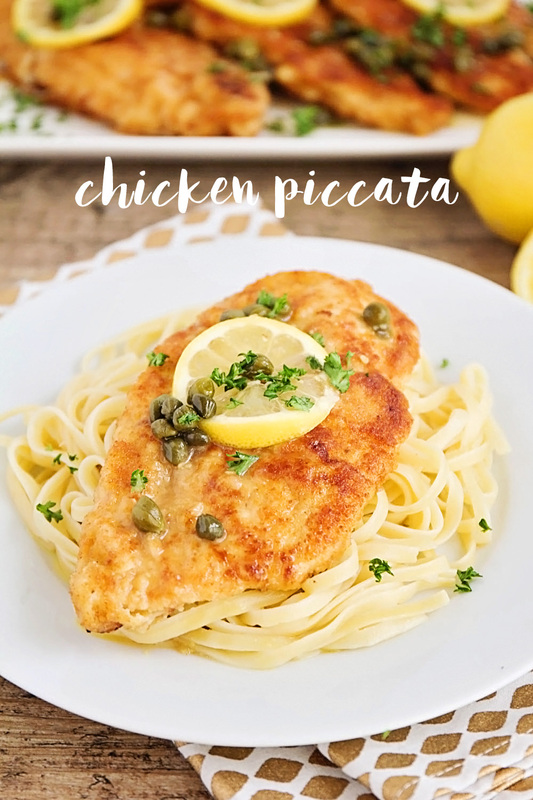 Goodness gracious, this chicken piccata is delicious! It's the kind of dinner that you make and enjoy, and then think about for the rest of the night just because it's so good. This recipe is one that I discovered about four years ago, and made over and over again in a short period of time. And then somehow it fell off my radar and I haven't made it in for several years. I came across it again as I've been working on updated some of my old posts, and realized I had all the ingredients to make it (score!). We had it for dinner last night and it was not only delicious, it was also incredibly quick and easy to make. Start to finish, it took less than thirty minutes and one pot. What more could you ask for in a dinner? It's been a little while since I've breaded and pan fried chicken, and I had forgotten how much I love it! I always think it's going to be a big annoying mess, and it really is simple and easy. I love that delicious golden brown crust! The sauce really could not be easier, and it adds so much delicious flavor to the dish. I know capers are a little controversial (people seem to either love them or hate them) but I adore them and think they add a special touch. If you hate them, by all means leave them out, and it was still be perfectly delicious! 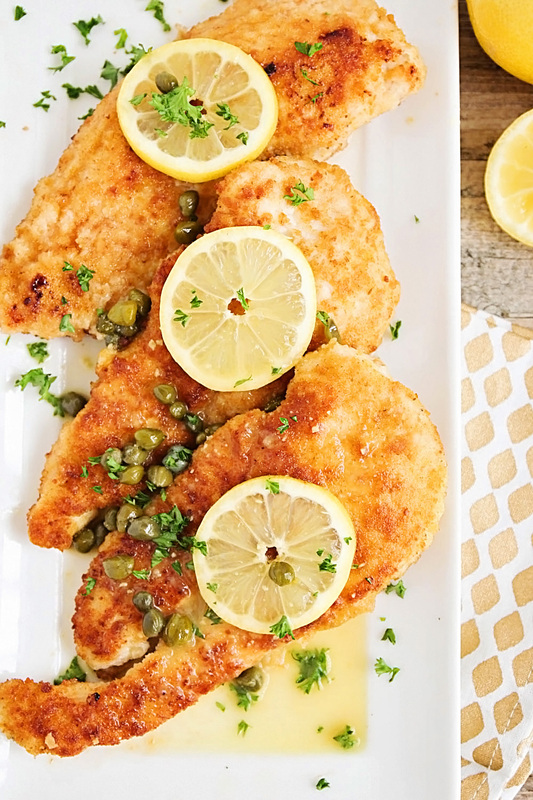 Sprinkle the chicken cutlets with salt and pepper. Add the flour to a plate or shallow dish. In another shallow dish, whisk together the egg and the water. Add the bread crumbs to a third dish. Heat the olive oil in a large skillet over medium heat. 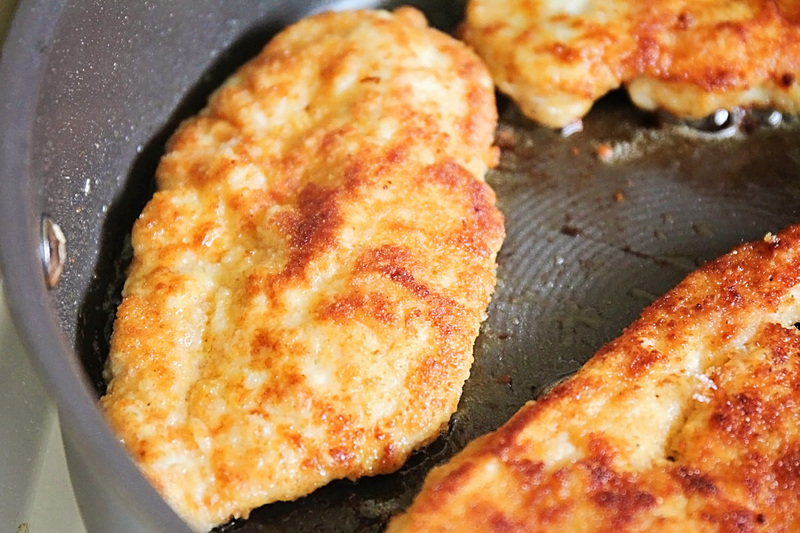 Working one at a time, dredge the chicken cutlets in the flour, followed by the egg, then in the breadcrumbs. 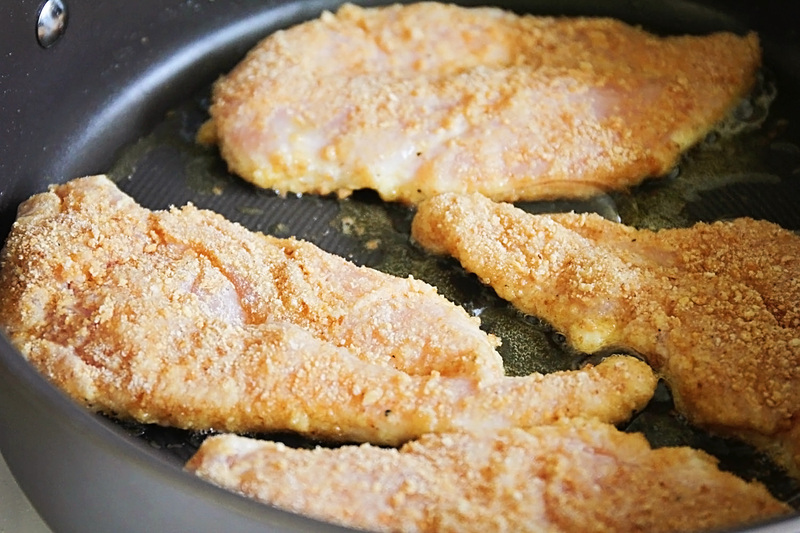 Add the chicken to the skillet and cook for 3-4 minutes on each side, or until cooked through. Remove the chicken to a plate and cover with foil to keep warm. Use a paper towel to quickly wipe out the skillet. Return the skillet to the heat and add the butter. When the butter has melted, add the lemon juice and chicken broth. Continue to simmer over medium heat until reduced by half. Add the capers and cook 1-2 minutes, until heated through. 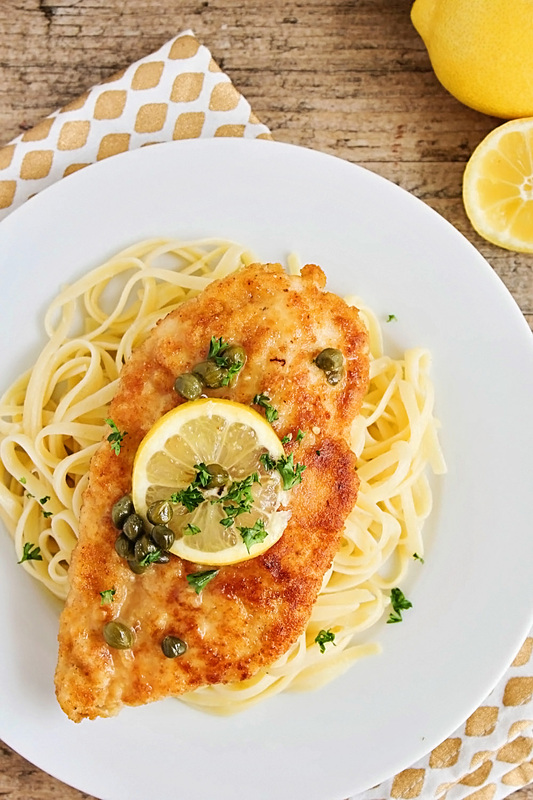 Spoon the sauce over the chicken breasts and top with fresh lemon slices and chopped parsley.